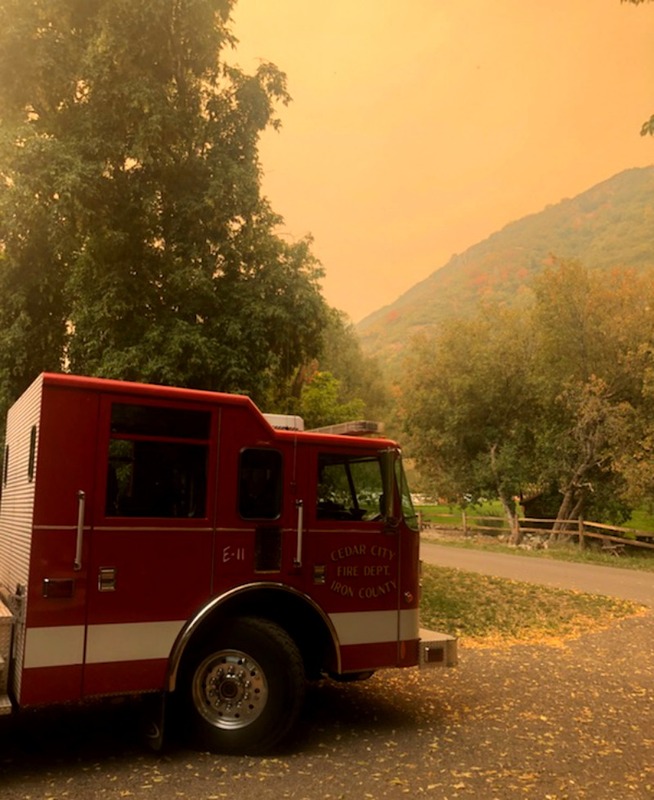 ST. GEORGE — Two Southern Utah fire departments have deployed resources and personnel to assist fire crews in the northern part of the state as two large wildfires continue to burn through the Uinta-Wasatch-Cache National forest. Both blazes are only two percent contained as of Saturday. 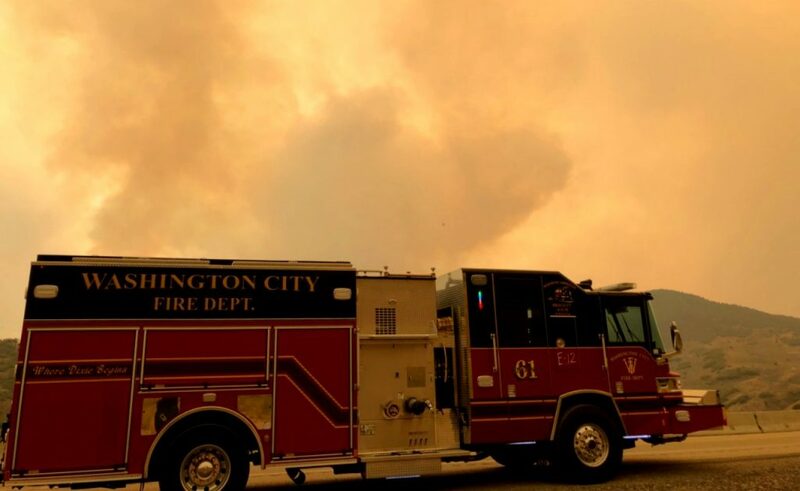 The Washington City Fire Department and the Cedar City Fire Department each sent four firefighters and an engine to assist crews on the ground as multiple fires along the Wasatch Front continue to grow, Washington City Fire Department spokesman Julio Reyes said. “We are committed to a 14-day deployment, but that may be extended to 21 days if needed,” Reyes said. Reyes is also part of the four-man team that left at 4 a.m. Friday to rendezvous with the Cedar City crew, and the small convoy made the trek north. Once there, the Washington City crew was assigned to the Pole Creek Fire, while the Cedar City crew was needed at the Bald Mountain Fire. The Pole Creek Fire has burned more than 68,000 acres and is two percent contained, while the Bald Mountain Fire has burned at least 18,000 acres and is also two percent contained, according to an update posted at 1:45 p.m. Saturday on the Utah Fire Info state interagency website. 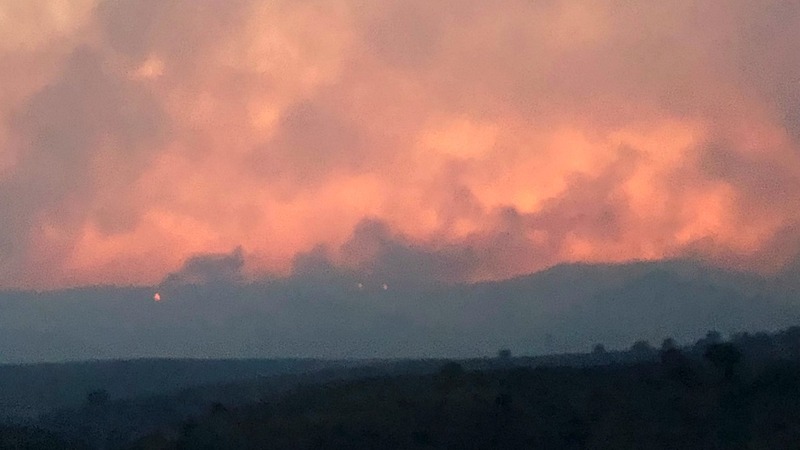 Both fires will likely merge into one large fire, according to the situation report, Cedar City Fire Chief Mike Phillips told St. George News Saturday. 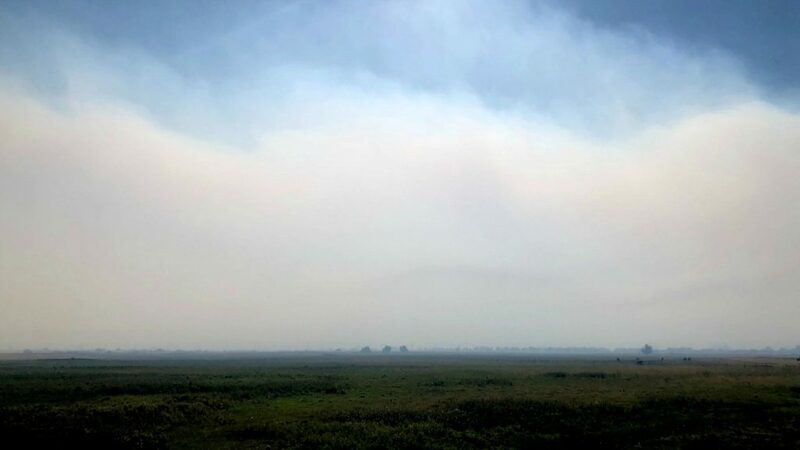 The fires, fueled by strong southwest winds, have spread quickly, with no sign of slowing down as “red flag” weather conditions are predicted to last into Sunday. “Strong winds are not going to help these fires, and if anything new starts, then it will get up and move pretty quickly,” Phillips said. Phillips added that crews along the Wasatch Front don’t have the resources to battle a fire this size without additional support. The Brian Head Fire, which started in June 2017, burned through more than 72,000 acres, destroying 13 homes and eight outbuildings, and forcing the evacuation of hundreds of residents. Phillips said there are also benefits that come from providing support to other fire departments, including training opportunities that are unique to working at a large incident, and the experience gained benefits not only the fire departments, but also the communities they serve. 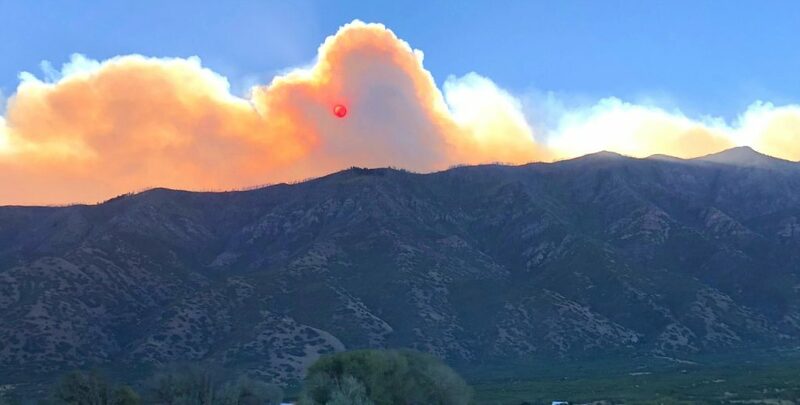 The two fires are located within the Uinta-Wasatch-Cache National Forest area that stretches across northern and north-central Utah, and into Wyoming, covering more than 2.1 million acres and home to Utah’s largest population center. Both fires were reportedly started by lightning. 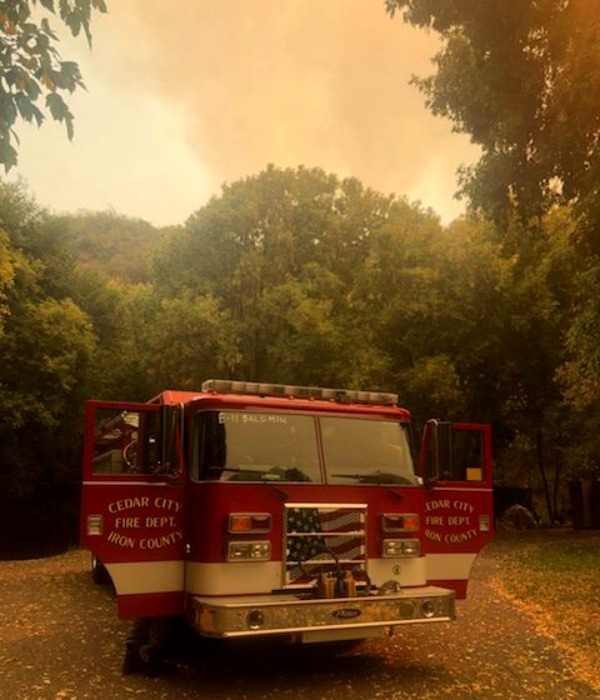 The Pole Creek Fire was reported in the Nebo Loop area near Spanish Fork on Sept. 6, while the Bald Mountain Fire was reported in the Mount Nebo Wilderness Aug. 23. Nearly 130 firefighters, 13 hand crews, dozens of fire engines and six helicopters are currently fighting the fires. In addition to the Bald Mountain Fire, the Cedar City Fire Department also has a fire truck and crew in California that were just released Saturday morning to return home after providing structure protection for the Boot fire, as well as a truck and crew in Bryce Canyon, Utah, providing support to ground crews fighting the Lonely Fire and Riggs Fire, that have burned through a combined total of about 1,500 acres. This report is based on statements from fire safety officials and may not contain the full scope of findings.